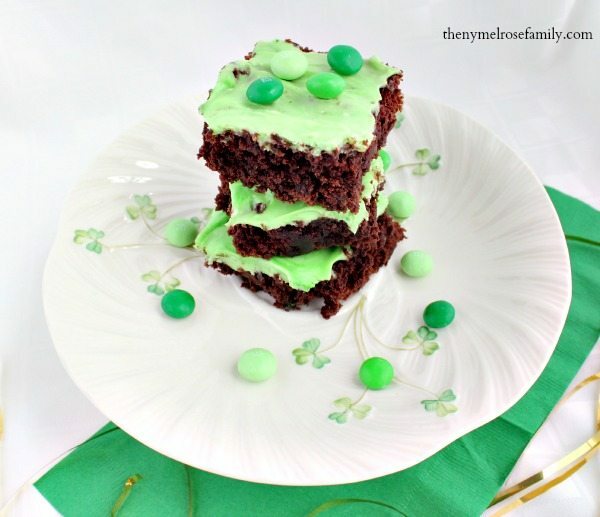 St. Patrick’s Day is just around the corner and I’ve got an easy dessert recipe for you that you’re going to love. I’m all about making my desserts semi-homemade so that I can put in a little extra effort in one aspect or another. 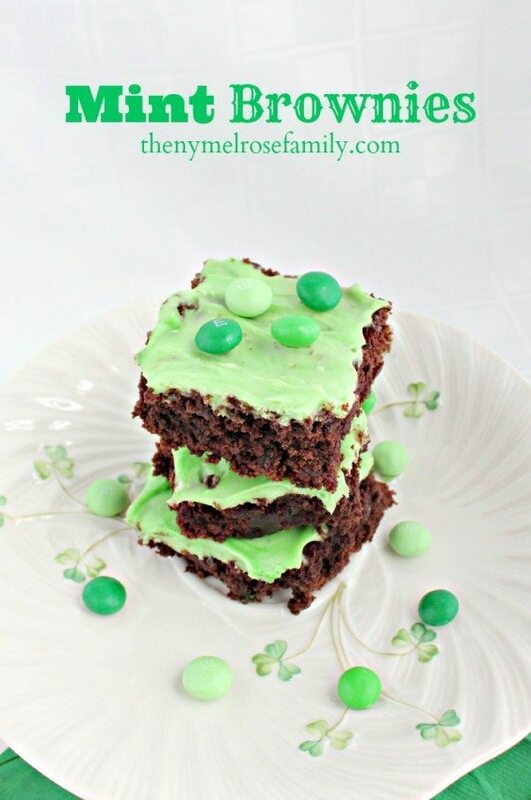 For these Mint Brownies, my cream cheese frosting is the extra effort because the brownies are a cinch thanks to Pillsbury and a secret ingredient. 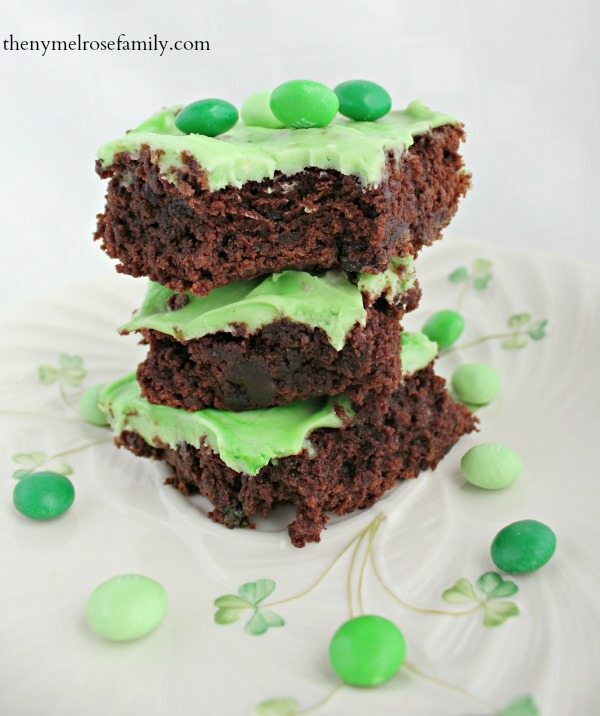 If you’re stopping by to find the Lucky Shamrock, you’re at the right spot so check out these gorgeous Mint Brownies and read on to find the shamrock. The secret ingredient for these brownies made it easy for my four year old to help with the entire process. We even got to make patterns using Mint M & M’s. We simply made our batter according to the directions on the Pillsbury Chocolate Fudge Brownie Mix box and then dropped our M & M’s into the batter to bake within the mix. The finishing touch was my homemade cream cheese frosting that I then tinted green with gel food coloring. Nothing quite says mint like the color green so I had to be sure that the top matched the inside. Mint Brownies topped with homemade cream cheese frosting. Make the batter according to the directions on the box. Add about 24 Mint M & M’s to the batter. Bake the batter at 350 for 25 minutes. While the batter is baking prepare the cream cheese frosting.